Pacer Alloys Pacer Alloys, Inc. a family owned stocking depot for fasteners in stainless steel and the high nickel alloys targeting the petrochemical industry including inhouse machining capabilities. 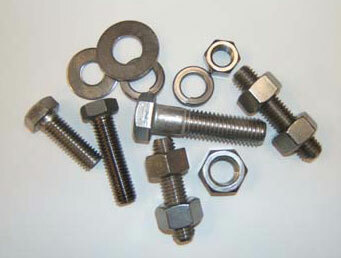 All types and sizes of bolts, nuts, studs, washers, etc. Copyright © 2007 Pacer Alloys, Inc.